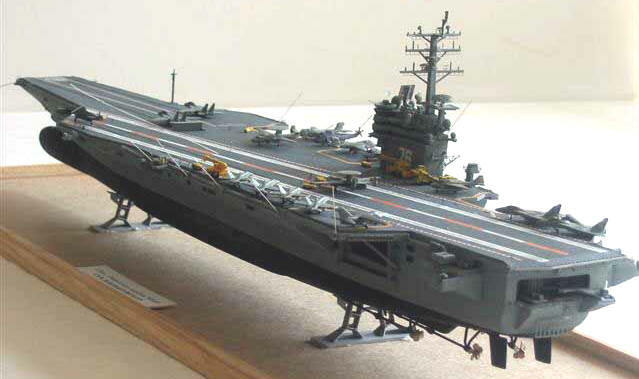 Build the newest Carrier in the fleet. 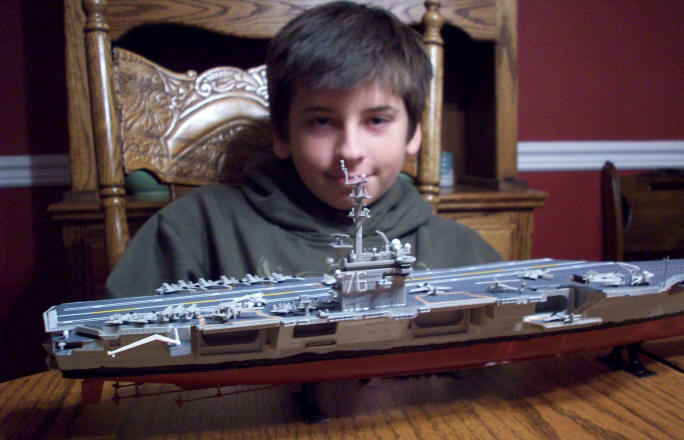 This is the most sophisticated Nimitz Class Carrier. Over 100 detailed parts with over 30 aircraft and helo's. 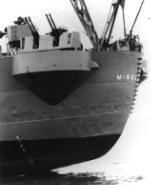 Click here for pictures of the actual ship. Great Video about the USS Ronald Reagan. 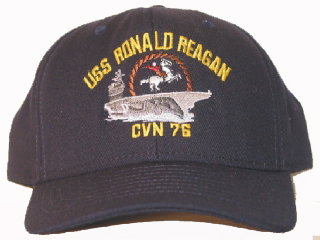 To order other USS Reagan items click the pictures below. To order the hat click pic. Ronald Reagan served as America's 40th president for two terms from 1980 - 1988. During the eight years of his administration, Reagan was a great advocate of naval power calling for an effort to rebuild U.S. military capability to a 15-carrier, 600-ship Navy. He demonstrated his strategic understanding of the aircraft carrier's importance as both a war fighting and peace-keeping asset by initiating five Nimitz-class carriers on his watch. Reagan's presidency is remembered for many accomplishments, including his restoration of the American military and his establishment of unquestioned maritime superiority. By the time he left office, he had indeed achieved a 15-carrier Navy of 594 ships deployed around the world. When the President's namesake, Ronald Reagan (CVN 76), joins the fleet in 2003, it will be the most modern and sophisticated aircraft carrier in the world. Reagan is 1,092 feet long, and once completed, will be home to 6,000 sailors, carry more than 80 aircraft and cruise at speeds in excess of 30 knots. Our newest carrier, the USS Ronald Reagan (CVN 76), is the ninth ship of the Nimitz class. Christened on March 4, 2001, the ship recently completed its final construction and outfitting phase and was delivered to the Navy in 2003. Using more than a billion parts from over 3,000 suppliers in 47 states and the District of Columbia, the Reagan incorporates dozens of new technologies and innovations developed since the first Nimitz-class carrier, USS Nimitz (CVN 68), was delivered to the U.S. Navy in 1975. The Reagan was commissioned into the Navy's fleet on July 12, 2003 and is the most modern and sophisticated aircraft carrier in the world. Reagan is 1,092 feet long and will be home to 6,000 sailors, carry more than 80 aircraft and cruise at speeds in excess of 30 knots. Great father and son project! Here is a picture of the USS Ronald Reagan that we just completed. This was our first model. Michael Murray is the boy pictured (my son). He did a lot of the work and is 12 years old. I wish I was better at picture taking. Marc.